long sleeved cotton jersey ladies polo. Machine washable. Sizes S-XL. Speedy service, excellent product, comfortable and smart to wear, highly recommended. Very pleased with quality and delivery of this item. 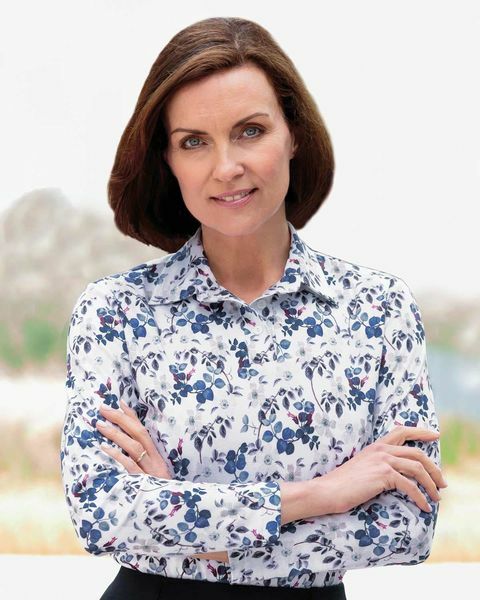 Silky Cotton Long Sleeved Polo with an elegant two-piece collar, three button placket, straight hem and side vents for comfort. An attractive floral print in shades of sapphire, taupe and mulberry on a white base. This polo is perfect for spring/summer days and with it's pretty design it would add a touch of elegance to any wardrobe. "Speedy service, excellent product, comfortable and smart to wear, high ..."